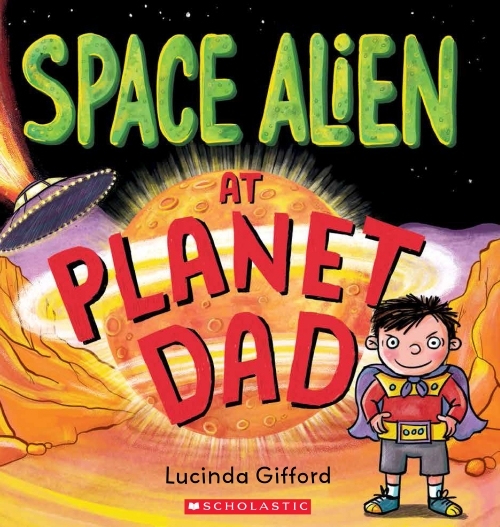 One Saturday, Jake arrives at Planet Dad to find a SPACE ALIEN there! He needs his best INVADER BLASTER and ALIEN REPELLING SUIT! But the space alien won’t go away. A funny and touching story about a young boy who deals with an 'alien' in his space, his own way.